Where does the nametag go? Should I eat ahead of time? How to shake hands properly? What is the etiquette surrounding business cards? How to navigate the courses? Where does the napkin go? What are the 9 blunders to avoid? How to eat difficult foods? What to order on the menu? What are the rules for chewing? As an added bonus, a section on decoding the Dress Code means you’ll never be caught unaware of how to dress appropriately. This well-priced booklet will take your career to the next level. Are you ready? Children love to read and what better way to keep manners in focus than with a terrific bookmark placed in their fav book. The bookmark includes ideas connected to MANNERS to remind the children how to be more gracious towards others. It measures 3X9 and would make a great gift for family members or classroom students. It’s difficult for young children to wait patiently for their food at a restaurant. 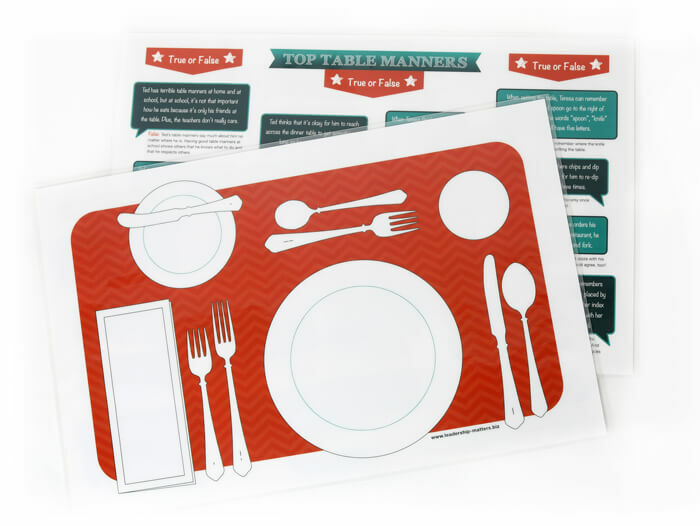 As an alternative to playing with the electronic gadgets, these fun, paper placemats loaded with games, puzzles and activities are a great way to teach manners when dining out. A preschool version is available, also. Now it’s simple to have a #devicefreedinner. Each pad includes 38 different tear-off placemats. Do your children struggle to set the table properly? This placemat shows the correct placing of all of the items that make up an informal meal setting. So easy and fun to use. It’s triple laminated so clean up is a snap and sure to last a long time. BONUS!! 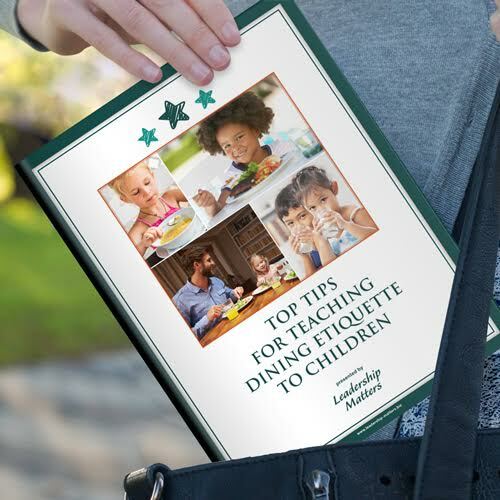 Quiz your children on the True/False questions on the back to increase their good dining etiquette knowledge. Ever wonder how to convey to children that not everything they think has to be spoken? 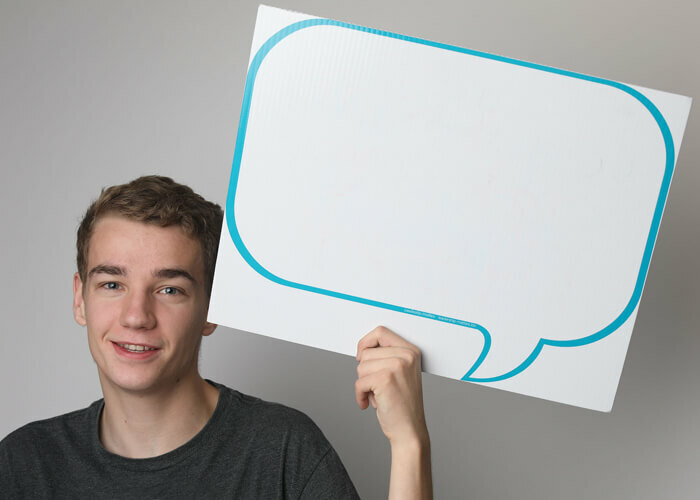 These Speech & Thought Bubbles are the perfect way to teach this concept. They are double-sided; dry-erasable and can be used again & again. You can make up your own conversations to role-play with the students to help them understand when to speak and when to be quiet.